Add to your book collection and your jewelry collection with this Goddess Girls boxed set that includes the first twelve books in the series! Mount Olympus Academy is the place to be—and you can hang with goddess girls of all sorts when you snag this collection of the first twelve books in the hit series! 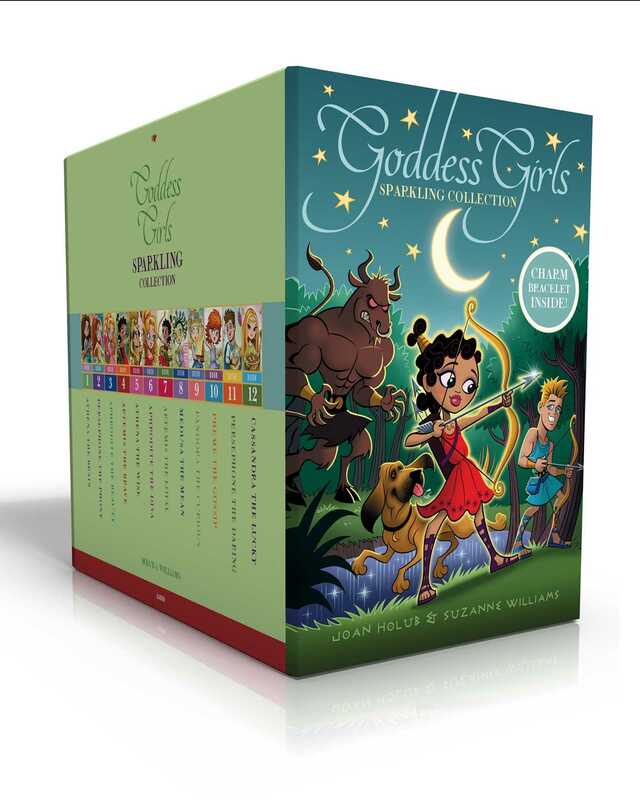 This boxed set comes with a sparkly, Goddess Girls–inspired piece of jewelry and includes Athena the Brain, Persephone the Phony, Aphrodite the Beauty, Artemis the Brave, Athena the Wise, Aphrodite the Diva, Artemis the Loyal, Medusa the Mean, Pandora the Curious, Pheme the Gossip, Persephone the Daring, and Cassandra the Lucky.